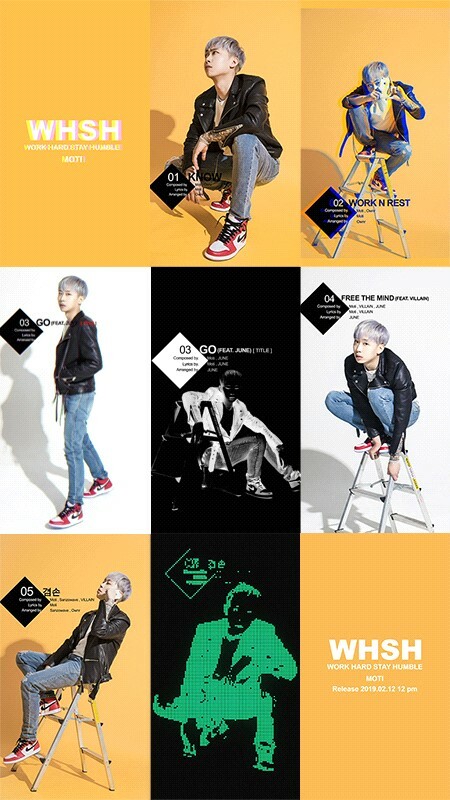 ‘D-4’ Comeback of Rapper Moti with Mini album ‘WHSH’ released Audio teaser. The Planetarium Record’s Rapper Moti’s first mini album ‘WHSH’ audio teaser is released. Through an official SNS channel on the 7th, The Planetarium Record posted an audio teaser video of the rapper Moti's first mini album "WHSH," which will be released on February 12 at noon. In the released video clip, the mini album "WHSH" and the title track "GO," which will be released, including "KNOW," "WORK N REST," "FREE THE MIND," and "Humility" have raised expectations of the songs to be released. the concept of unique charm has a colorful and dynamic visual effect that captivates the fans eyes and ears. Moti had previously given hope for the WHSH album through a track list, showed off the musician's appearance by participating in the writing and composing of all the songs, including the title song "GO." The same label "JUNE" and "Villain" participated in featuring, to increasing the completeness of the album. Moti released a single "BLUE WAVE" featuring an impressive "BLUE" with a bright-feeling hook and a "WAVE" with dark beats and autobiographical lyrics last summer. Before the release of the single, the solo "BoA" and "Wish" in the label EP "Planetarium Case #1, Case #2" attracted attention by giving them a pleasant free Rapping performance with stable lyrics. Moti will join the "2019 WE GO HOLIC in Europe" tour starting 8th of this month, starting with the concert in Russia, Spain on the 10th, France on the 13th, Germany on the 15th, and the U.K. on the 17th. The last tour will be held in Seoul on March 9. Tickets for the Seoul concert "WE GO HOLIC" starring musicians from the Planetarium Record (PLT) can be booked through a melon ticket.